The Syrian Army and popular forces seized back a strategic mountain and a gateway to a major terrorist stronghold in the north of coastal Latakia province. 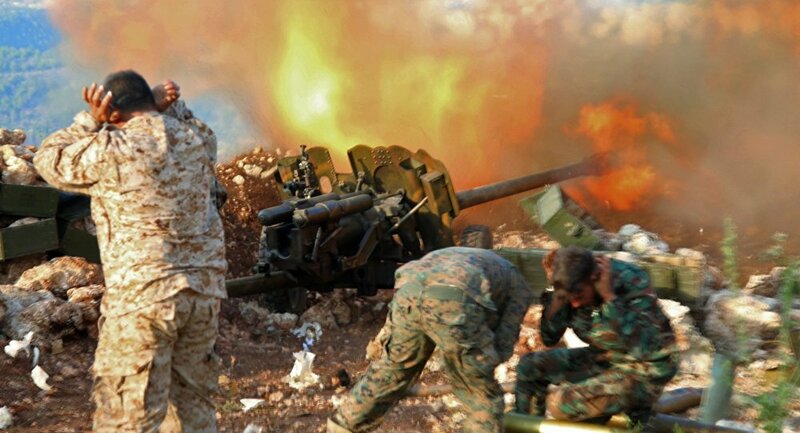 On Saturday, following a series of fierce battles, the Syrian Army and the National Defense Forces continued their advance on the jihadist militants in the northern mountains of Latakia province, capturing Mount Al-Rous, near the border with Turkey, Fars news agency wrote. Full control over Mount Al-Rous will help the Syrian armed forces to capture the strategic town of Kansba, which is the most important base of the Jeish al-Fatah terrorist group in the province. Earlier, government troops, backed by Air Force and artillery units, pushed back the militant groups from the strategic town of Ta'ouma, paving the way for the ground forces to infiltrate the enemy’s defense lines. Meanwhile, government forces maintained their offensive against the militant groups in various parts of the town inflicting heavy losses on the enemy. During the past week, the Syrian Army and allied forces have been making steady gains in northwestern parts of the country driving the militant groups back from more territories in the region.